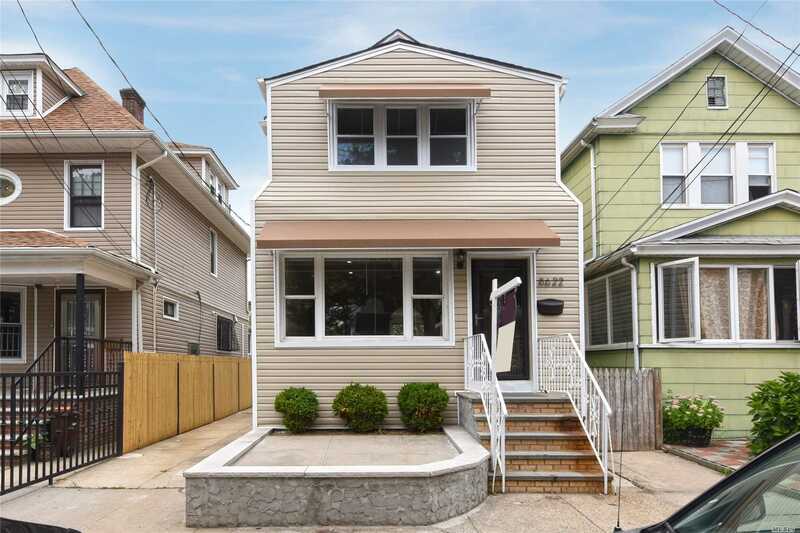 Totally Renovated Colonial Located In A Prime Area Of Woodhaven. Features 3 Bedrooms, Large Eat-In-Kitchen With Breakfast Nook, Open Layout With New A/C Unit. New Kitchen With New Appliances With Access To Patio For Barbecue, New Bathrooms, Refinished Hardwood Floors, New Doors, New A/C Wall Unit In Living Room, New Light Fixtures, New Recess Lights, Some New Windows, New Roof, Close To Train ( J ) And Buses, Shops... Great Value! !